At Manhattan College, you’ll find a caring Lasallian Catholic community, easy access to the heart of New York City, and a close-knit campus that’s filled with academic and extracurricular opportunities. • Manhattan College is one of 286 institutions in the United States with a chapter of Phi Beta Kappa, the nation’s most widely known academic honor society. • Manhattan is included in the Military Times “Best Colleges for Vets” list 2019. • U.S. News & World Report ranks Manhattan 15th in the “Best Regional Universities—North” category of their 2018 “Best Colleges” list. This is the 12th year in a row the College has placed in the regional top 20. • Brookings rates Manhattan ninth out of more than 7,000 two- and four-year schools in an analysis that examined how well schools prepare students for successful careers. • Money magazine lists Manhattan as #17 on its “50 Best Colleges That Add the Most Value” list for 2017. Nestled in Riverdale, a tree-lined suburban community in New York City, Manhattan College offers students an intimate residential campus that is located only minutes from Midtown Manhattan. 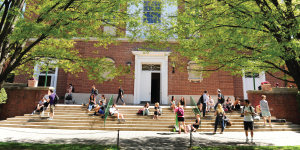 Academic excellence is emphasized at Manhattan College, a private, independent, coeducational Lasallian Catholic institution of higher education founded more than 160 years ago. Students may choose from over 40 majors within the College’s six schools: Liberal Arts, Business, Education and Health, Engineering, Science, and Continuing and Professional Studies. A student-faculty ratio of approximately 12:1 allows our students to receive individual attention and support from distinguished faculty who are renowned in their fields. Coupled with our small class sizes, our students thrive in a tailored learning environment that promotes personal and professional achievement that lasts a lifetime. Our graduates include top corporate executives, internationally known engineers and scientists, and leading educators, journalists, and lawyers. Notable alumni include former mayor of New York City Rudy Giuliani ’65; bestselling author James Patterson ’69; Laura Ricciardi ’92, filmmaker and co-director of Netflix’s Making a Murderer; Noreen Krall ’87, Vice President and Chief Litigation Counsel for Apple; and Eileen Murray ’80, Co-chief Executive Officer and a member of the Management Committee at Bridgewater Associates CP. Manhattan College provides easy access to New York City, known around the world as the center for commerce and the arts. Manhattan College Jaspers enjoy the special advantages the College has to offer, including a strong network that links students and alumni to each other through our extensive internship and mentorship programs. The College offers many opportunities to study in other countries. Studying abroad represents an opportunity for intellectual, cultural, and personal growth for students, many of whom have never gone beyond the borders of the United States. Service learning is also a significant form of experiential learning and plays a role in the education of Manhattan College students. Whether they participate in programs around the world or in New York City, Jaspers can be found lending a helping hand. 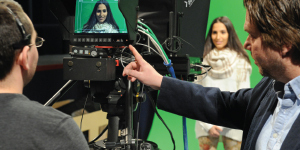 Learn more about joining the Manhattan College community.